If you think the interior of your Ann Arbor home is lacking some shine (literally speaking), consider bringing home some metallic paint swatches from Home Depot and letting your imagination paint a picture of a metallic glimmer on your walls. Metallic paint is a surprisingly subtle yet glamorous way to elevate the canvas of your interior decor. Companies such as Ralph Lauren, Benjamin Moore, and Sherwin-William manufacture this type of paint, and it’s available. Professional interior painters can use decorative finishes, such as suede, to apply this type paint easily to create a distinct statement. It’s no secret that contractors doing work in your home can bring dirt, dust, and added noise with them. The interior of your home is subject to the debris machinery and equipment can create. 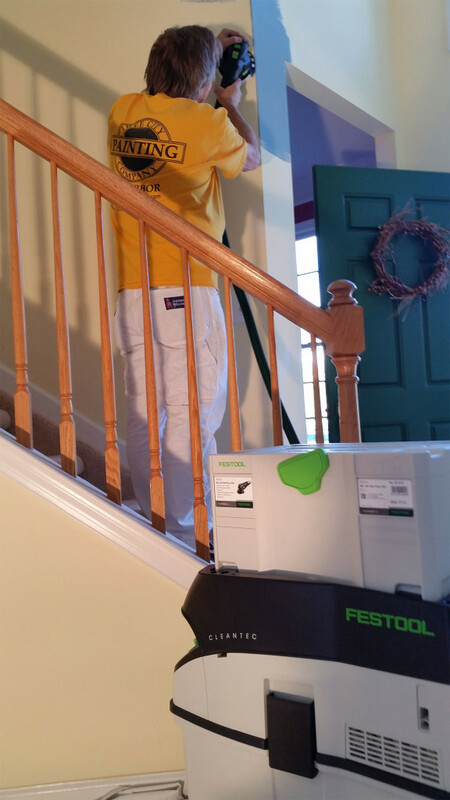 Tree City Painting not only takes the utmost care in treading lightly in your home, but we also utilize the latest innovative tools, such as the Rotex CT 36 AutoClean Dust Extractor to make sure your home is virtually dust free before, during, and after your job is complete. This equipment also ensures our professionals can perform their jobs with ease and more accuracy. This is one of the many ways we go above and beyond to provide top-quality interior residential painting to all our customers. 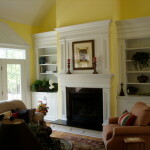 If you’re considering hiring a Saline interior painting company please contact Tree City Painting today for an estimate. You can leave that little bottle of hand sanitizer at home (if you want, that is). 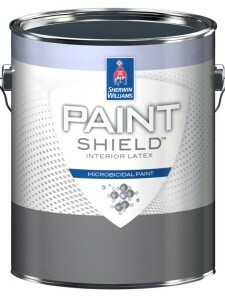 If you’re a germophobe or perhaps work in a hospital or other type of medical facility you’ll be excited to learn that Sherwin-Williams is rolling out a new type of paint that kills 99.9% of bacteria that touches it within two hours. This is different from “antimicrobial” paint that only prevents organisms from corroding surfaces but doesn’t prove to kill them. The paint is said to be available in early 2016. As you might be aware, premium paint color does not come without a price tag. A gallon-size can of the new antibacterial paint will cost around $85, whereas normal paint costs anywhere between $29 and $79. Antibacterial paint isn’t just for pediatricians and daycare centers but also your Ann Arbor home, if you so choose. Contact Tree City Painting today for an estimate. Consider hiring a color consultant or interior designer to help you make important aesthetic decisions that will impact the look and feel of your home for years to come. There are many compelling reasons to hire a local Ann Arbor color consultant or interior designer for your home. Initially, it might take a few extra dollars to hire a local Ann Arbor color consultant, but you could avoid costly mistakes that will not only increase the perceived value but the actual value of your home. So whether you’re looking to give the interior of your home a facelift or sell your current home, a professional designer will increase the likelihood of success and overall satisfaction. A designer not only offers you his/her professional assessment of your current color scheme but an extra set of eyes that are trained to pick up on details you might have overlooked. He/she will listen to your goals and help guide you to a successful end result that everyone is happy with. A color consultant might already have a relationship with a local Ann Arbor interior painter and contractors whom he/she knows to do quality work. This saves you the time it would take to find a reliable interior painter whom you would trust to work inside your home. Interior designers have access to resources, like discounts, special inventory, or preferential priority with vendors, that are not as accessible to the general public inquiring on their own. Color consultants will give you that unique, one-of-a-kind look that will impress your guests and make you feel invigorated about the interior of your own home. They’re very experienced in choosing complementary color schemes that work with the flow of an interior space. A designer can potentially add a lot to the aesthetic of your Ann Arbor home to increase the appeal for showing and selling. This not only translates to a potentially higher sale price in a competitive market but also helps insure you wouldn’t lose a buyer due to an unappealing interior painting job. Homeowners in Ann Arbor might try to do it all themselves and can get very frustrated in the process. A designer with a trained eye can help with aesthetic decisions that may not come easily to everyone. Choosing your favorite color might sound exciting but is not always the best decision for the layout of your home. The many nuances of color in an interior space can be orchestrated well by someone with experience. It’s no surprise that a color consultant has the skills to enhance your home, whether it be for you, your family or for resale. A professional can ensure you achieve the look you desire for your home. Why Do It Yourself When You Can Hire a Professional? If you decide to complete the job yourself you not only need to know how to do it, but you also need to make sure you have all the necessary equipment. When you hire a professional this isn’t a problem. A professional painter will have every piece of equipment necessary including some items you wouldn’t have even thought about. Ok, so painting a bedroom wall might not be too much of a problem for even the most inexperienced. However, when it comes to those fiddly and difficult to reach places such as stairwells and skylights professional assistance is definitely needed. If you decide to complete your redecorating tasks yourself then you are going to need to find the time to do it. This will inevitably mean using your precious free weekends or even taking time off of work. You might have a lovely house at the end, but how are you going to enjoy it when you’re slumped on the sofa in exhaustion. Give yourself the opportunity to enjoy your newly rejuvenated home by letting someone else take the time and effort to do all the hard bits for you. You might be looking at this and thinking; how can hiring and paying someone be cheaper than doing it myself? Well, it can be. The reason is, that when you do it yourself there are many financial factors you need to consider. You have to account for the cost of materials, for your time and your labor, as well as all of those little finishing touches that knock the cost up. Once you have considered all of these things, it is highly likely that the cost of hiring an Ann Arbor interior painter will be lower than if you take on the task yourself. The worst part of a DIY project is cleaning up afterwards. At the end of a long day of painting when all you want is a hot shower and clean bed, you’ve got a mammoth mess to get rid of instead. 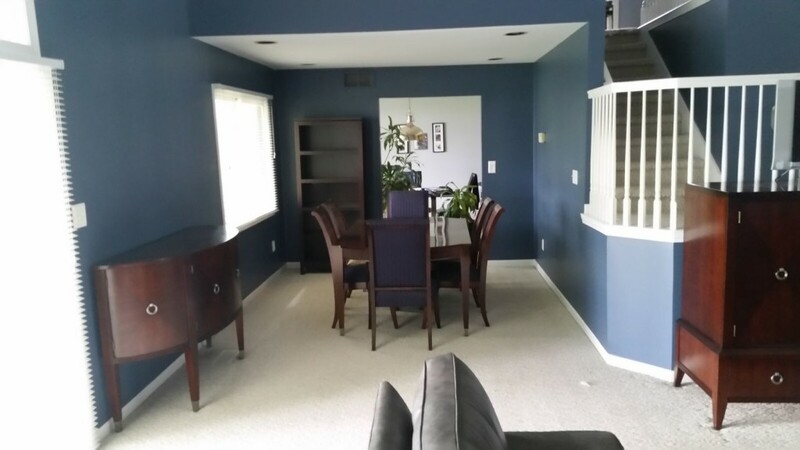 When you hire a professional Ann Arbor Interior painter you will never need to worry about this as they will do all of the clean-up including daily maintenance, so your home will never feel like a building site. If you have little ones running around then it’s inevitable that you will be worrying about safety when redecorating. You might be unaware of the full extent of the dangers present to your family, and this ignorance could lead to disaster. A professional contractor knows how to complete the job safely. For example, they will understand that electrical outlets and switches need to be covered and large pieces of equipment such as tall ladders need to be stored away out of reach of little hands. A professional painter will be required by law to follow the most up to date health and safety regulations, so you can be sure that your family will be safe throughout the entire process. Let’s honest, in most cases people are less concerned about the process and far more concerned about the finished product. There is nothing worse than putting all of your effort into a task and finding the result to be far less than you expected. This will never happen when you hire a professional painter. 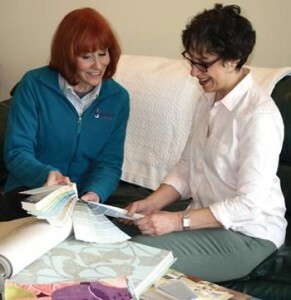 Their experience and expertise will ensure that your home will be the best looking on the street. Let’s wrap this up then. Overall hiring a professional painter will provide you with numerous benefits including; providing expert equipment, being able to get into those tricky areas that you can’t quite reach and saving you time, effort and money. Furthermore, a professional painter will clean up all the mess for you, and will complete the job in the safest way possible. Finally, you can be sure that the finish on the job is going to be superb. What are you waiting for? 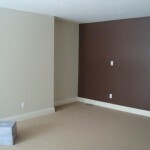 Find the perfect Ann Arbor Painting Contractor today. Is your home looking tired? Are you sick of looking at magnolia walls? Then you need a fresh paint job. It really is amazing what a lick of paint can do for a home. You can give your home a whole new lease on life just by updating the wall; however, this is certainly easier said than done. Doing it yourself is going to take both time and effort. So why bother? Instead of taking up your precious free time to do it yourself, hire someone else to do it. This definitely sounds like an easy option, but even this comes with worries. Choosing the right contractor can be difficult. You need someone you can trust to take care of your home. To help you in your quest here are 6 tips for hiring a professional Ypsilanti painting contractor. You can do online research, look at reviews and descriptions of services. 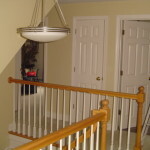 But the best way to find a good quality painting contractor is simply to ask around. Talk to your family, friends and neighbors who have dealt with Ypsilanti painting contractors before. Look at the work they have done and find out about their services. It’s important to get estimates from more than one contractor so you can be sure that you are paying the average price. Getting estimates from at least three is the best plan of action. All of the quotes should be similar in price for the same services offered. If there is a great difference in the quote then you need to be asking why this is. Make sure that no corners will be cut and that everything will be completed to a high standard. You might think that this is slightly excessive, but it is most definitely necessary. You are trusting someone with your home and that is not a decision that is to be taken lightly. Make sure you ask questions about the job history of the candidate. Ask to see a portfolio and testimonials from other clients. Ask to see their required licenses and check that they are all in date. You should also ask who will actually be conducting the work. With larger companies it is highly likely that the person you meet will not be the person completing the project. Check that they have liability insurance and ask to see proof of this. You should also be looking for Ypsilanti painting contractors that will provide you with a written guarantee of their work. You may also wish to ask what products they will use and the potential dangers that these products present. It’s also a good idea to show each contractor the job that you want completed. Explain to them what you wish to be done and highlight any problematic areas. This is your chance to have all your questions answered, so make sure you take it. It may be that the contractor you are considering is perfect on paper, yet you just have a bad feeling about them. Trust this, it’s important. Always pay attention to the behavior of the contractor upon your first meeting. For example, do they exude professionalism, or do they act is if they are inexperienced despite their extensive resume. Are they polite and courteous? Remember, you are the customer. If they are rude or aloof when discussing your renovation project then they are not the one for you. They should respect your design choices even if it is not to their personal taste. Consider their punctuality. Were they on time for your meeting and did they arrive with the appropriate documentation. Are they easily contactable? Finally, listen to them talk about their other work. How busy are they? If they are as good as they say they are then they should be extremely busy. It’s not enough for a contractor to tell you how happy a client was with their work. You need to see evidence of this, so make sure you always ask to see their references and if possible contact the client directly to discuss their feelings about the process and the end result. Hopefully by the time you have decided on a contractor and are ready to sign the contract, you would have spent time with them, got to know them and feel comfortable with them. However, don’t let this lull you into a false sense of security. A contract is a legal document and it needs to be treated with respect. Read through it thoroughly and immediately raise any concerns you have. If there is anything you feel isn’t quite right do not sign it. Only when all problems are resolved and you are completely happy should you sign the contract. 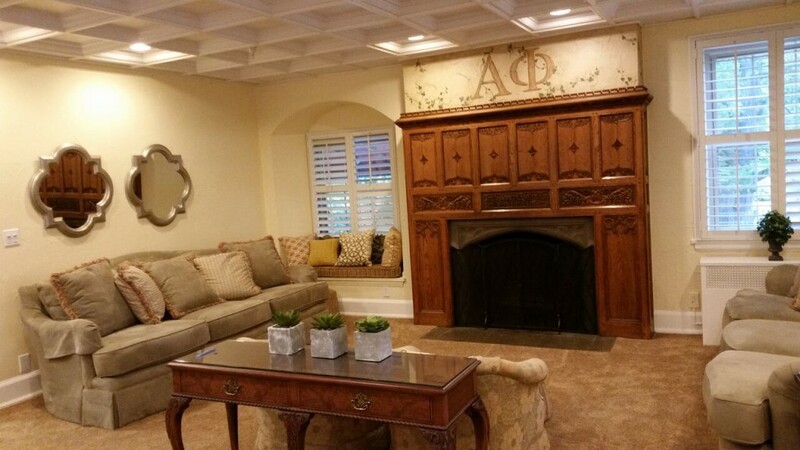 Redecorating doesn’t need to be headache. 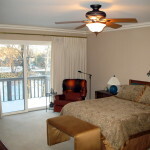 Use these tips to find the perfect Ypsilanti interior painter to rejuvenate your home. Introducing the newest addition to The Bauer Family! 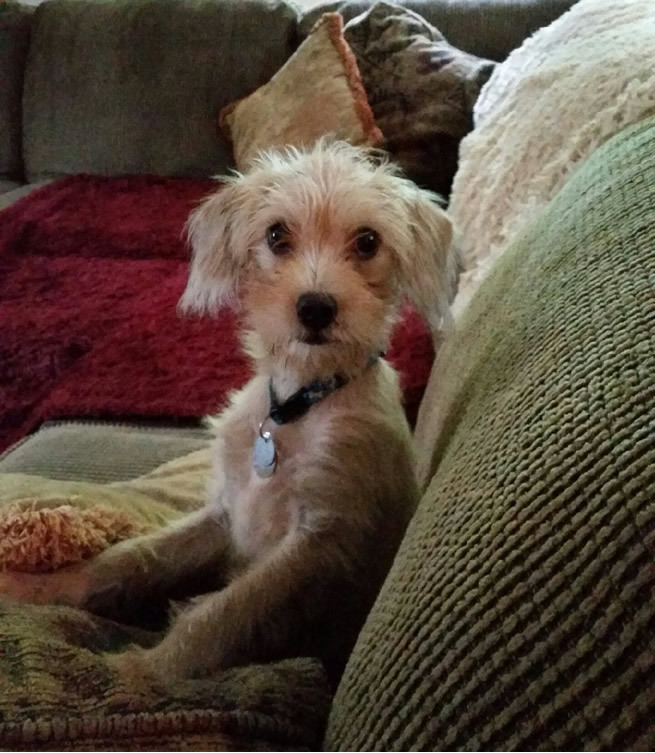 Please meet ‘SUNNY’ adopted at 6 weeks old from the H.S.H.V. via a Missouri Dog Rescue. WELCOME HOME!!! 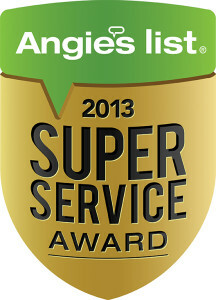 Tree City Painting has earned the service industry’s coveted Angie’s List Super Service Award, reflecting an exemplary year of service provided to members of the consumer review service in 2013. Proudly Serving Ann Arbor Area Home and Business Owners Since 1988. Only about 5 percent of the companies Tree City Painting competes with in the Ann Arbor Area are able to earn our Super Service Award,” said Angie’s List Founder Angie Hicks. “It’s a mark of consistently great customer service.